The formula is supposed to have “buildable” coverage and can be applied with fingertips (which will yield “higher coverage”) or a brush (for sheerer coverage). 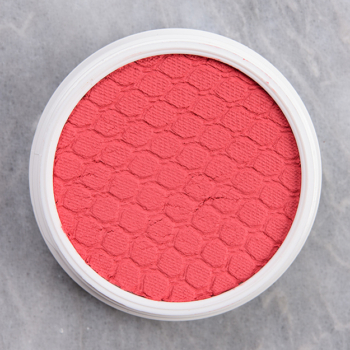 It’s a cream-based product that has a subtle, “wet” feel to it but never has the thickness of a true cream-based blush. It goes on with the smoothness of a cream formulation but diffuses and blends (without lifting up one’s base) more like a powder product. The product sets to a powder finish, so the product won’t slide around during the day. On me, the wear tends to be between eight and 10 hours. Most shades have medium, buildable pigmentation with some being semi-opaque to opaque on occasion. They are typically blendable, easy to use, and long-wearing.